Fight fire with tourism—that seems to be the new motto of the Smoky Mountain communities scorched by forest fires that began last month. “If you really want to do something for Gatlinburg, come back and visit us,” urged Gatlinburg Mayor Mike Werner in a November 30 press conference, as a show of support to the popular vacation destination located on the edges of Great Smoky Mountains National Park. The Sevier County region, home to popular tourism spots Sevierville, Pigeon Forge and Gatlinburg, has experienced significant losses in the last weeks. But local tourism officials are reinforcing the message that the destinations are still a-okay to visit and functioning normally. In Gatlinburg, one of the areas hardest hit by the fires, the main strip remains untouched and standing. Both Pigeon Forge and Sevierville also suffered no damages and are open for business, along with Dollywood, the state’s most-visited ticketed attraction. While the towns were left relatively unscathed, many in the area still need help, and, with tourism as the economic mainstay, visitation can help those in need. 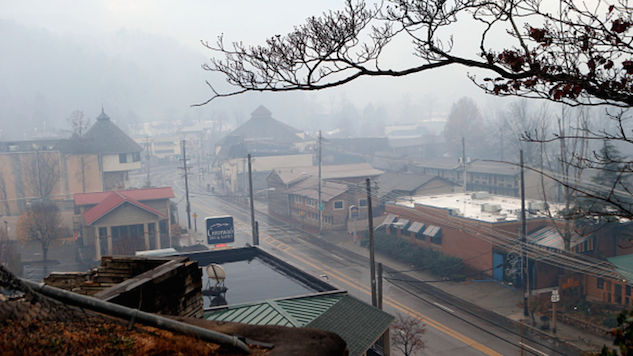 “One of the best ways to help the Smoky Mountains recover from the wildfire’s impact is to come visit us and help keep our community strong and working,” said Brenda McCroskey, CEO of the Sevierville Chamber of Commerce. Perhaps that can be a fight in record numbers.